Southern Oregon is an outdoor enthusiasts wonderland! The Cascade-Siskiyou National Monument, as well as the iconic Pacific Crest Trail (that runs from Mexico to Canada), are easily accessed just a few miles outside of the Ashland city limits. Other amazing hiking regions such as: the Sky Lakes Wilderness (which includes Mt. McLoughlin), Mountain Lakes Wilderness & Red Buttes Wilderness are a short drive from town, and offer an endless array of world-class hiking options! 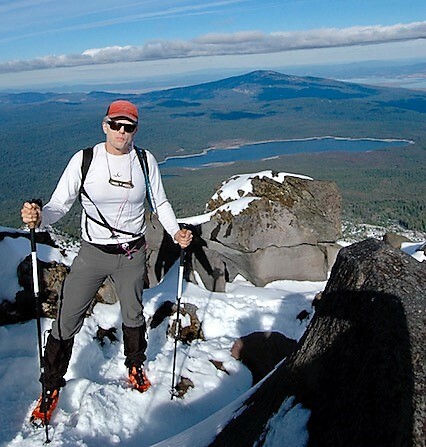 Our Hotel Manager Michael Biggs is an avid hiker & mountaineer, and he is happy to share his favorite hikes with hotel guests. In 2017, he accomplished an amazing feat of endurance! Michael climbed Mount Mcloughlin (elevation 9,485ft, the trailhead is about 50 minutes from the Hotel) 4 times in 24 hours (covering 44 miles and nearly 32,000 feet of elevation change)… But don’t worry, Michael knows a bevy of great local casual day-hikes too! Plus, rafting the mighty Rogue River & visiting the majestic Crater Lake National Park are perfect day trips during your visit!